Distilled by West Cork distillery, The Pogues whiskey pays a tribute to the Irish Folk Rock band, quite famous in th 1980's. The Pogues, with their iconic leader Shane MacGowan, sidekicks Pete "Spider" Stacy and Jem Finer, paired the punk energy with romantic rhymes of Celtic music. With their frenzied rock chords mingled with violin sounds, flute or bagpipe, the band rapidly became an musical icon of the green island. 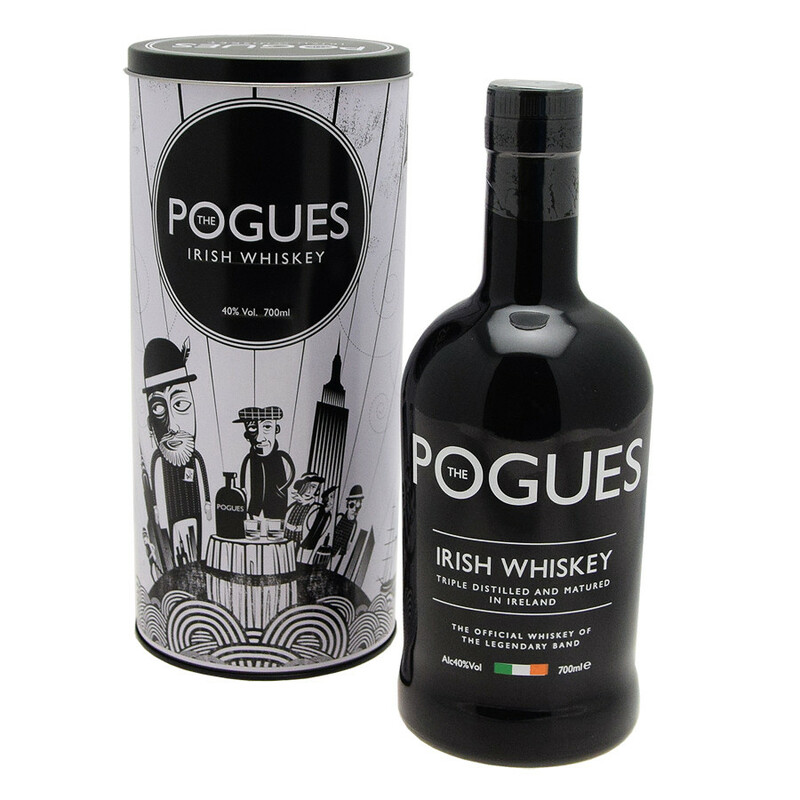 Rediscover their mythical rythms in the whiskey, as the Pogues actually collaborated in the making. This Irish whiskey is made with 50% Single Malt aged 7 to 10 years in Bourbon barrels and refined in Sherry casks for another 6 months. The other half is Irish grain whiskey, aged in Bourbon barrels for 4 years. Nose: sweet, revealing aromas of grains, citrus fruits, pepper and nuts. Palate: tasteful with its lovely nutmeg feel, honey and citrus fruits. Finish: classy with malted notes.